October, 2011 | Frankly, My Dear . . . This is another prompt from Writer’s Digest Community: You and a friend break into your neighborhood swim club late one night to go for an after-hours dip. While splashing around in the pool, you go into shock when a dead body floats to the top. Worse yet – it’s someone you know. It happens that during the week I found this prompt, I had seen a few episodes of The Twilight Zone. I’ve not written much in the way of sci-fi or thrillers, so I wanted to give … read the rest. . . This recipe was inspired one rainy afternoon while I watched Paula Deen on The Food Network. They sure have some great eats on that network! 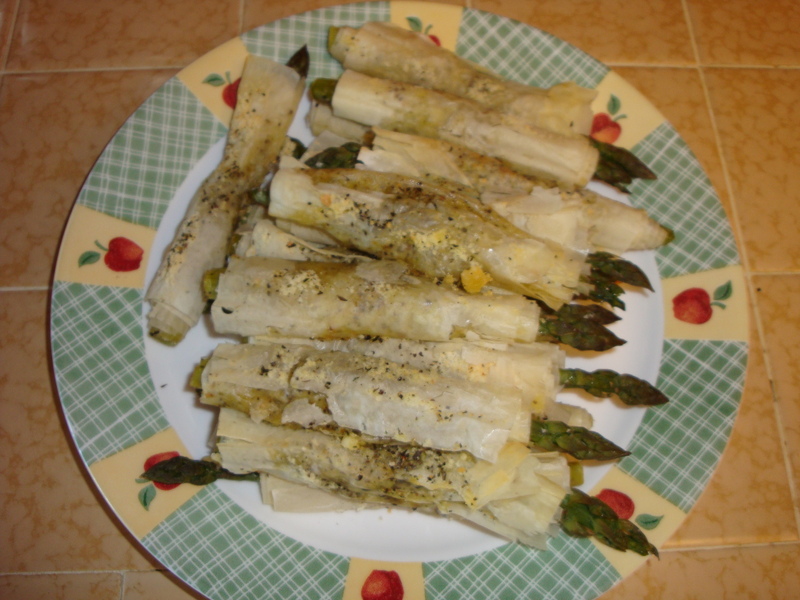 I was trying to think what I could make with my last roll of phyllo dough, and I caught a glimpse of her sautee’ing asparagus. Voila! Another recipe was created. Phyllo dough is essentially easy to work with, but it is delicate. It’s important to follow the directions on the box to keep it from drying out. I recommend preparing your asparagus ahead of time, assembling your ingredients in … read the rest. . . Okay, I’m not one to go all in about spirits and things. I believe there are supernatural forces, but as a Christian, and a scaredy-cat, I ignore; nay, resist, such topics. Just over two weeks ago, I journaled about the death of my mentor. We weren’t that close. He was someone I respected as a writer and creator. He encouraged and inspired me to continue in my own writing endeavors. Big words for what boils down to: I like what he said and did, and he saw potential in me. And … read the rest. . .